Preferential regimes continue to be a key pressure area. 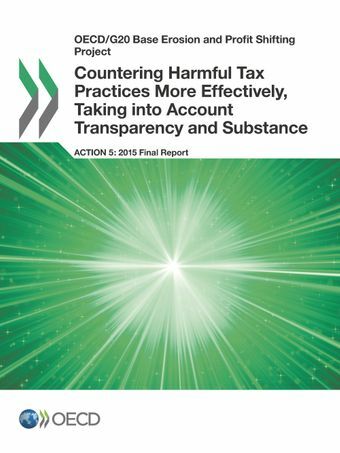 Current concerns are primarily about preferential regimes which can be used for artificial profit shifting and about a lack of transparency in connection with certain rulings. The report sets out an agreed methodology to assess whether there is substantial activity. In the context of IP regimes such as patent boxes, agreement was reached on the “nexus approach” which uses expenditures as a proxy for substantial activity and ensures that taxpayers can only benefit from IP regimes where they engaged in research and development and incurred actual expenditures on such activities. The same principle can also be applied to other preferential regimes so that such regimes are found to require substantial activity where the taxpayer undertook the core income generating activities. In the area of transparency, a framework has been agreed for the compulsory spontaneous exchange of information on rulings that could give rise to BEPS concerns in the absence of such exchange. The results of the application of the existing factors applied by the FHTP, and the elaborated substantial activity and transparency factors, to a number of preferential regimes are included in this report.